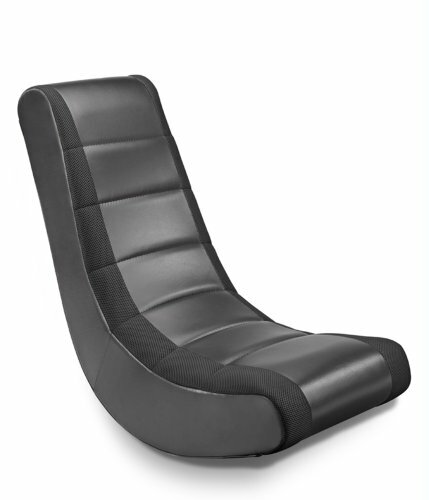 Coil spring cushioned seating for all-day mattress-like comfort. 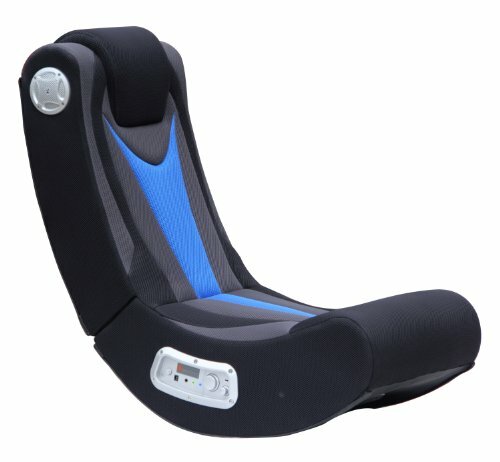 Individually wrapped coil-springs inside generously padded seating provides long lasting seating comfort. 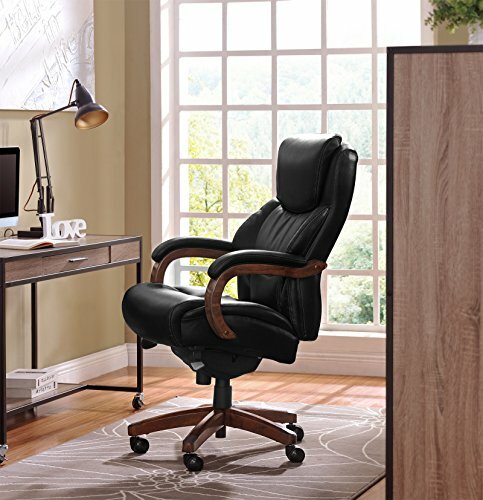 Ergonomic side bolsters, integrated headrest, and padded armrests in soft leather upholstery. 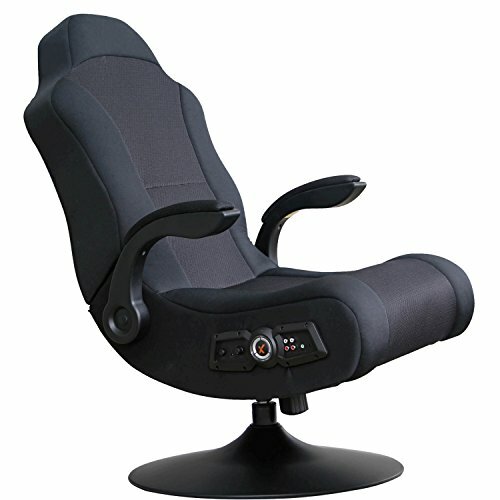 Waterfall seat edge reduces pressure points at the back of the knees. 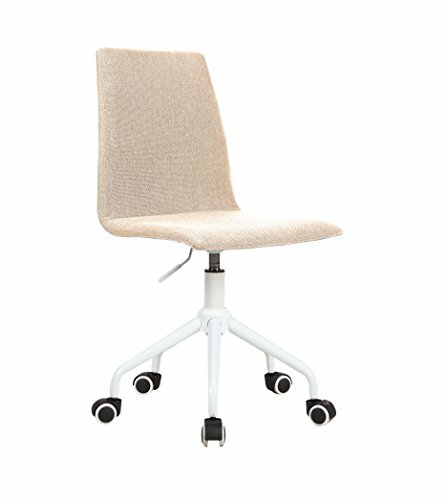 Five-star base with protective foot zones. 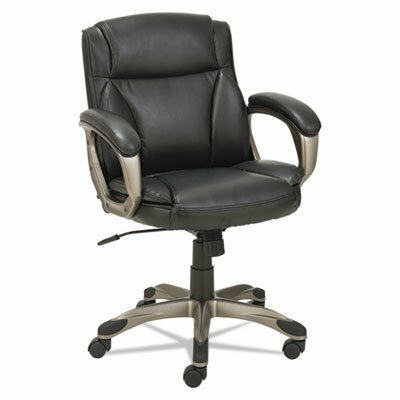 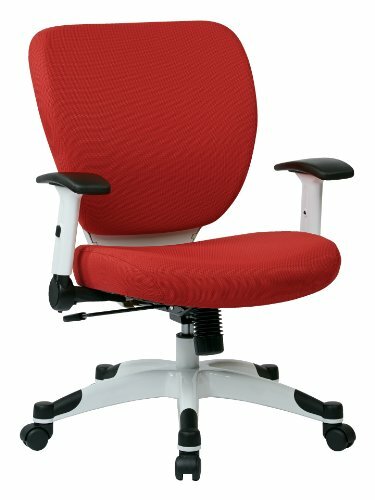 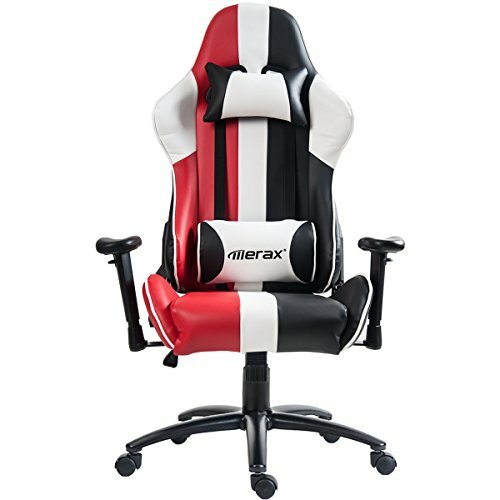 Recommended Applications: Executive & Management; General Office & Task; Seat/Back Color: Black; Arms Included: Yes; Arm Style: Padded Loop.